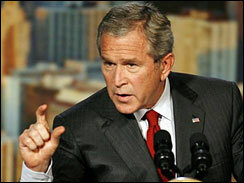 World News - Bush: U.S. Still Hunting Bin Laden. This Boogieman is hard to find, but did they check under the bed?